Product prices and availability are accurate as of 2019-03-19 11:26:01 EDT and are subject to change. Any price and availability information displayed on http://www.amazon.com/ at the time of purchase will apply to the purchase of this product. 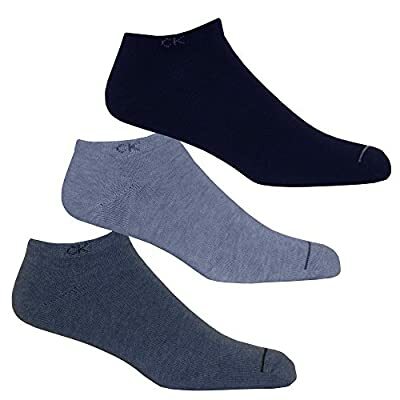 Soft Cotton 3 Pack of Casual Trainer Socks in blue, navy and heather-grey colours. Designed to fit discreetly under your trainers for extra comfort during sport. 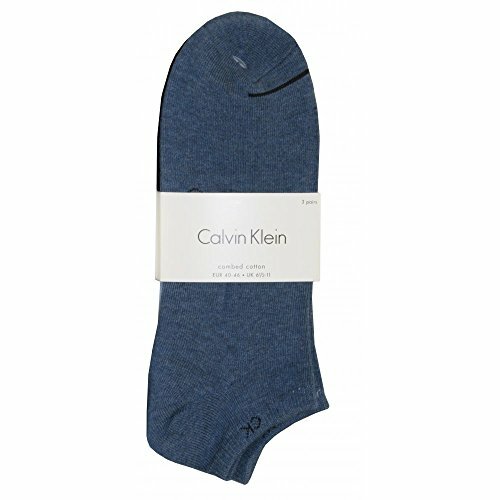 These socks feature a contrasting Calvin Klein logo design. Fits UK Shoe size 6.5 - 11.